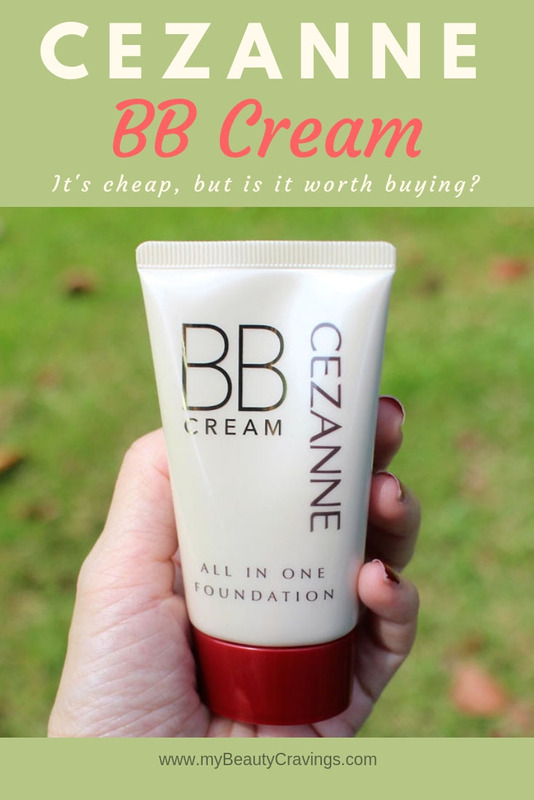 Cezanne BB Cream All in One Foundation | It’s Cheap, but is it Worth it? 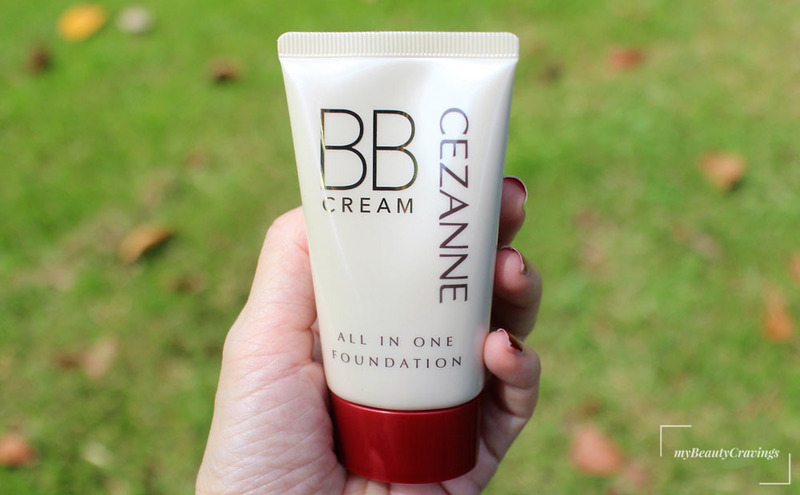 It is not easy to write a review on Cezanne BB Cream All in One Foundation, simply because I couldn’t quite figure out how to feel about it. Even after using it for a few months, my opinion of this BB cream still changes by the day or week. Sometimes, I feel lukewarm about Cezanne BB Cream and want to give it a 3-star rating. Other times, I thought it deserves a 4.5 stars. Why the indecision? I’m not sure – let’s hope that both of us will know why by the end of this review. Sometimes, writing a review helps clear my mind. :) Stay around if you love to know more about a great-coverage and pocket-friendly BB cream. 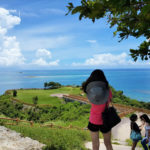 I bought Cezanne BB Cream when touring Okinawa. This is a made-in-Japan cosmetic and is sold in major drugstores and departmental outlets in Japan. 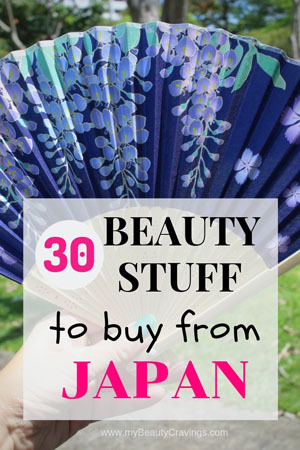 Of the many cosmetic brands available in Japan, Cezanne stood out as one that is budget-friendly. For instance, I got this BB cream for just Y550 (after tax rebate). It’s online price as at time of writing is equally friendly on the pocket. What does Cezanne BB Cream Promise? Similar to other beauty products acquired in Okinawa, I’d little clue about what I was buying. I didn’t understand the Japanese packaging labels and had no data connection to do ad hoc research. Now that I do, let’s see how my luck was and whether I’d gotten myself a beauty gem. Quite an ambitious BB cream, huh? 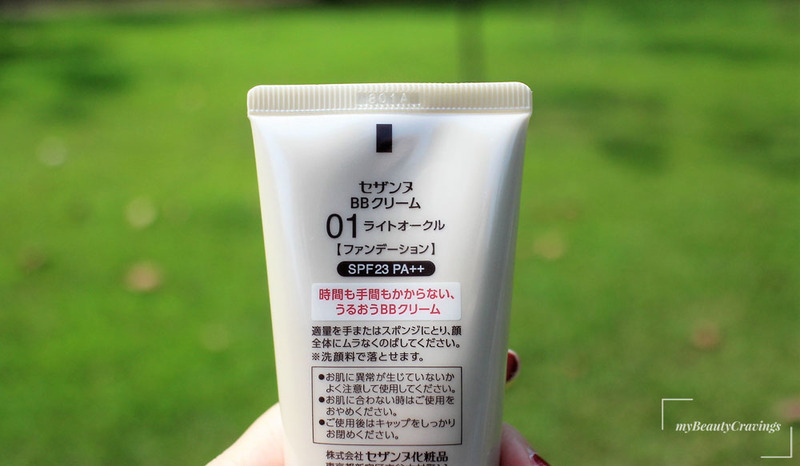 Let’s see how Cezanne BB Cream fares in the review. As usual, we’ll start off with the good stuff and end with the not-so-great. What’s Good about Cezanne BB Cream? I think Cezanne BB Cream is actually a foundation in disguise. 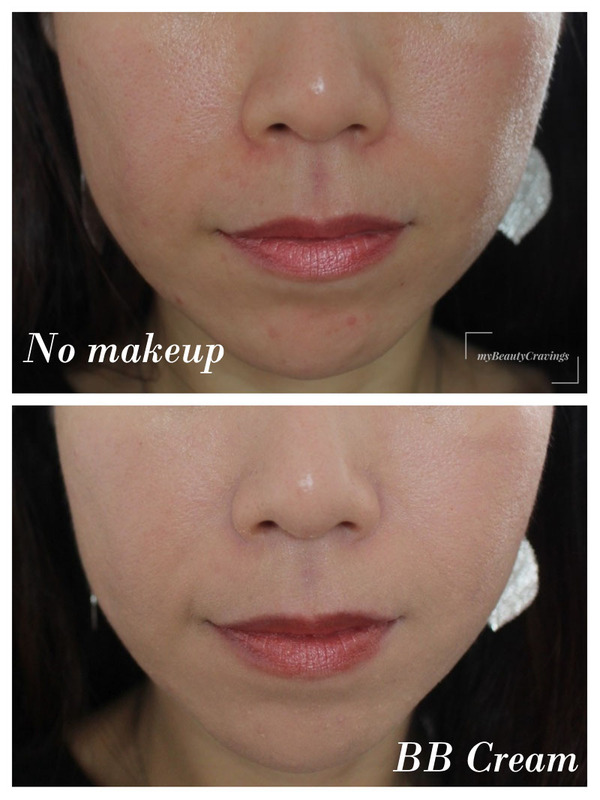 The coverage is so strong it surpasses that of my favorite Japan-made foundation. This probably explains why Cezanne BB Cream is marketed as a foundation. Eh…so is this a BB Cream or a foundation? Hmm….I think it’s rather confusing to consumer, or at least to me. If you aren’t already familiar with the difference between BB Cream and foundation, Garnier explains it quite well. In terms of coverage, “BB cream is typically light” and doesn’t have many color shades to choose from. So if I buy a BB cream, I generally want it to be light and natural-looking. Not with Cezanne BB Cream. You’ll find your pores, redness and imperfections vanish after applying this high-coverage BB Cream. My face was visibly brighter and more radiant after applying Cezanne BB Cream All in One Foundation. However, it could be due to the color ’01’ being too light or too pink for my skin tone. :) I’ll explain more when I discuss about color selection. 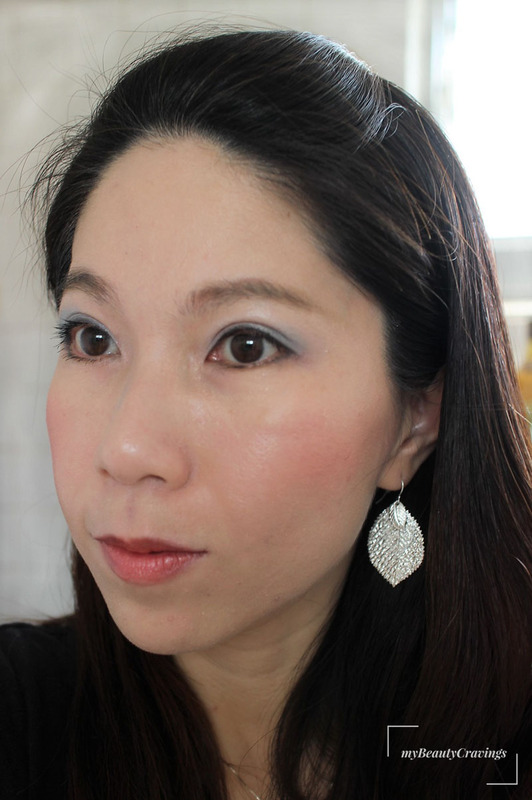 Not only does makeup such as blusher or eye shadow cling on well to Cezanne BB Cream, the color payoff was good. As such, I think this BB Cream lives up to her promise as a makeup base. Eyeliner: Youngblood* Intense Color Eye Liner Pencil (“Slate”) << Love this color! * In Singapore, Youngblood – a luxury mineral cosmetics brand – is available at AsterSpring outlets. Once you apply Cezanne BB Cream All in One Foundation, it will stay on your skin for hours. 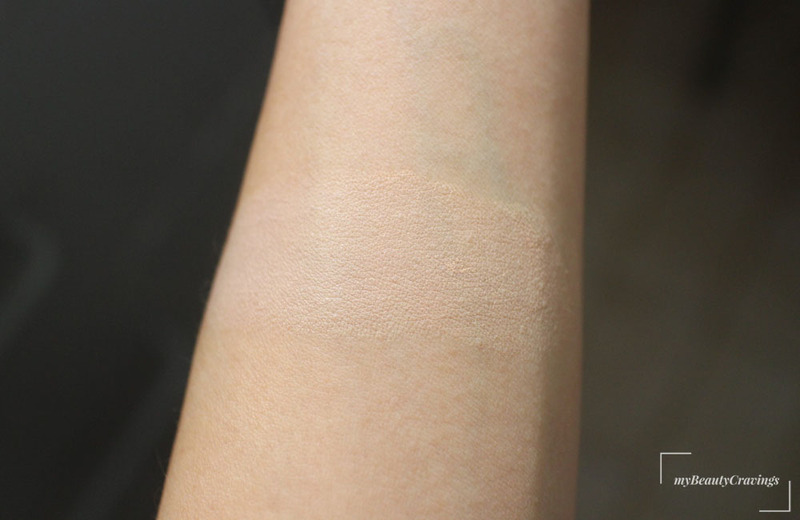 Just like a coat of semi-matt paint, this BB cream doesn’t fade off much with time. In fact, I swatched a layer on my inner arm at 10am. As of now (6pm), the swatch is still clearly visible. Cezanne BB Cream All in One Foundation comes at a good quantity of 40g and is priced affordably. At Y550, that’s less than USD5 (as at time of writing). Of course, if you get it outside Japan, it may be slightly pricier. 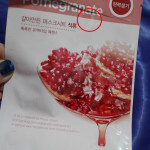 Singapore doesn’t sell this product, but a similar one cost around S$18. Luckily, it’s cheaper if you get it online. 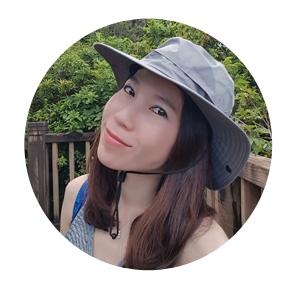 I’ve been using Cezanne BB Cream on-off for a few months and so far, have managed to stay pimple-free even after taking a 45 minutes hike yesterday. There was however one occasion when I woke up with a small pus-filled pimple. It happened only once and therefore, I can’t confidently attribute this to Cezanne BB Cream. Cezanne says you can remove the BB Cream (and whatever that’re layered on top of it) with a facial cleanser. 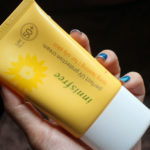 I haven’t had the chance to test it out because I normally wear sunscreen beneath my foundation. If you do too, please remember to remove your sunscreen with a proper makeup remover. Otherwise, a pimple breakout may occur. While ‘easy to remove’ serves as a great marketing feature, I don’t find myself benefiting from this in real-life application. 1. It can get messy! When I first used Cezanne BB Cream, I thought it was diluted because too much of the product will get dispensed whenever I squeeze the tube. On a few occasions, a good amount of BB cream squirted out just by me twisting open the cap. The most recent ‘squirting’ took place this morning. My vanity top was attacked! Why do we get such a ‘squirting’ reaction from Cezanne BB Cream? Was it because I’d exerted too much strength or the cream was too runny. I manage to solve the mystery this morning. 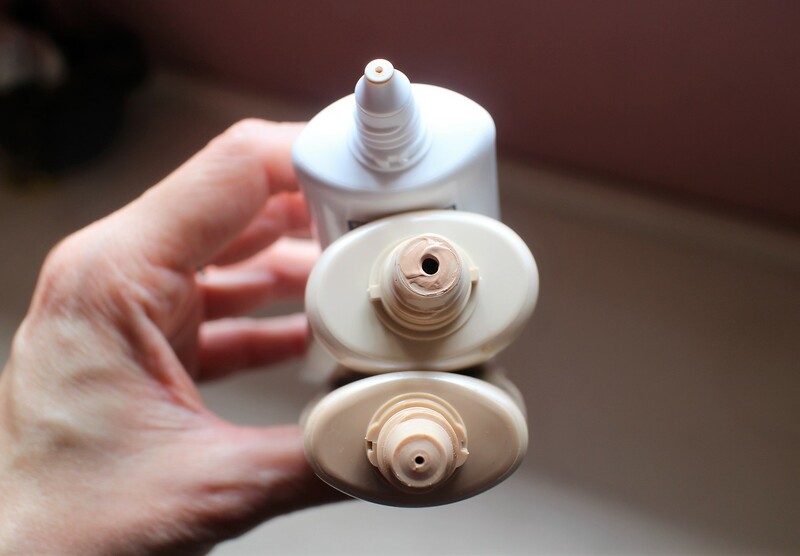 During photo-taking, I noticed that the tube’s opening is larger as compared to other BB creams – by about 500%. No wonder too much product gets dispensed involuntarily. Other than dealing with spillage, I also find myself cleaning up the mess when excess BB cream floats around the top of the opening. Cezanne’s website said this BB Cream “spreads well to provide natural finish.” Based on my experience, there was a little tug and friction when applying the BB cream. I also noticed that I needed more product as compared to other BB creams. As such, I cannot vouch for how well it spreads on the face. 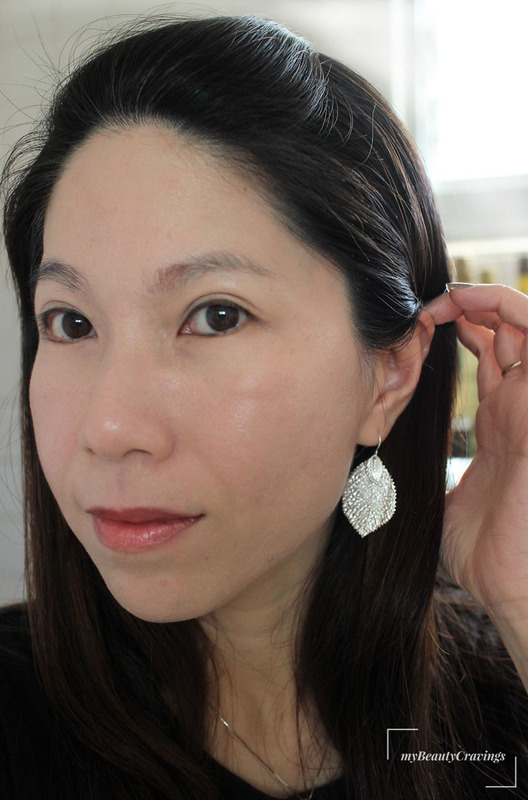 I’ve often thought of BB cream as a lighter and more translucent version of foundation. And I normally use it when I don’t want people to think I’ve spent time putting on makeup, e.g. grocery trip, running errands or hiking. Unfortunately, I couldn’t use Cezanne BB Cream as often as I’d like because it was too heavy for the occasions I’d wanted to use it for. According to Cezanne’s comparison table, the coverage of Cezanne BB Cream is rated a 3 out of 5, which is considered ‘light coverage’. I can’t imagine how their category 5 foundations would be like. I think it probably won’t suit me as I lean towards sheer and dewy makeup. 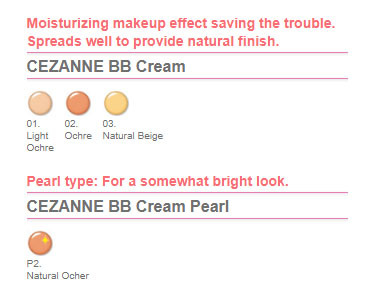 Cezanne BB Cream marketed itself as one that offers a natural finish. By that, I would assume the finish is, well, natural-looking. People should notice you first and not your foundation. She thought the ‘natural’ BB Cream looked ghastly on my face. Now, to be fair, the color I’ve chosen might have been too light for my skin tone. Furthermore, I’d met her just 20 minutes after applying the BB cream. So the cream probably didn’t get enough time to settle down (Read on to see what happened after an hour or two). Ignoring the shade of the cream, I thought there was a lack of luminosity or dewiness. 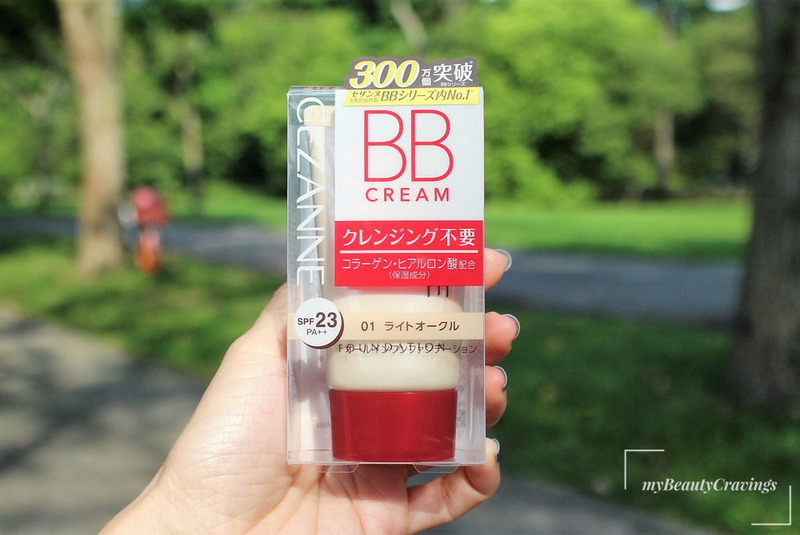 Hence, I find it hard to think of Cezanne BB Cream as a natural-looking BB cream. Maybe it’s due to the thickness and strong coverage of the BB Cream, dry patches that I never knew I had became prominent after applying Cezanne BB Cream. I also noticed powdery spots forming after an hour or two. That gives me the impression that perhaps, the molecule (is that what it’s known as?) in the cream isn’t fine enough to melt into the skin. 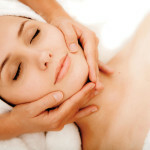 After an hour or so, you can feel an obvious layer of oil on your face. If you press your finger against the face, you can see the oil patch on your finger. From Cezanne’s website, we know this is a BB Cream that contains lots of moisturizing ingredients and is rated 5 out of 5 for its “moisturizing feel”. Unfortunately, it seems that the hydration comes in the form of grease. One good thing comes out of this greasy affair. When the oil forms, the makeup starts to look more natural. 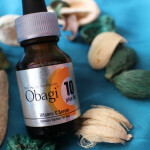 Perhaps, the oil helps the BB Cream to sink in better and also lends a natural sheen to the face. Most BB creams come with a sunscreen factor of at least SPF30 PA++. 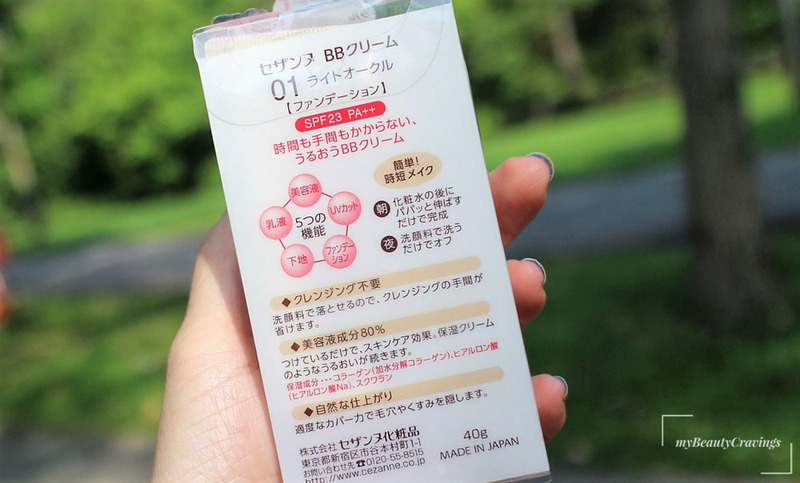 Cezanne BB Cream sits on the lower end with just SPF23 PA++. I recall spending some time at the cosmetic shelves trying to figure out which color to buy. I’m a Mac NC20/ Innisfree 13 or 21 / Lancome P0-03 and normally can take the lightest shade for a BB cream. Unfortunately, Cezanne’s lightest color “01” seems a tad too light and pink on me – I believe this color suits someone with an “ivory” or “porcelain” skin tone. Can you see how the thick coverage highlights the natural “grain” of my skin? Well, it’s not all that bad. I can live with this color as long as I apply early and give it time to oxidize. If you are getting this, you may find yourself choosing a higher color number than what you normally would. It’s also strange that color 02 seems darker than 03. I think Cezanne can consider rearranging and renaming the colors to make it more intuitive to customers. Even though we see a long list of cons, Cezanne BB Cream All in One Foundation is not all that bad. Most of the disadvantages aren’t exactly deal breakers. For instance, I just have to change my mindset and treat this as a foundation. Also, the tugging of the skin will become less noticeable after a few weeks of usage due to desensitization. 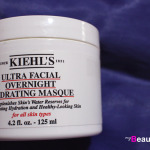 I can see myself finishing the tube although I can’t say for sure that I would repurchase it. I think Cezanne BB Cream would suit those who are looking for a good-coverage foundation and who don’t have an oily face to begin with. 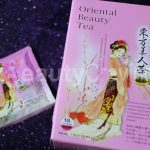 It would also appeal to those who want an affordable face-coverage product and who don’t mind waiting an hour or two for the product to become more natural-looking. 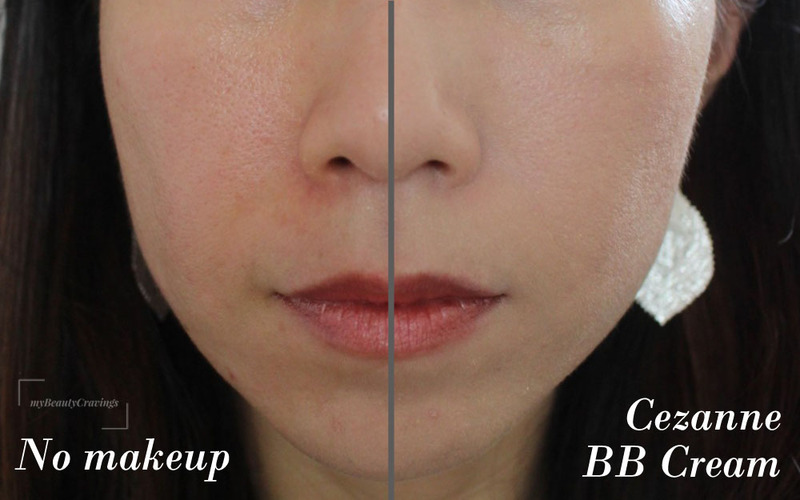 Of the five functions that Cezanne All in One BB Cream promises to do, it succeeded in achieving 3. 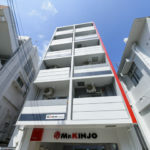 If you visit Japan, do give this product a second look. It’s not perfect, but considering its VERY cheap price, this is considered pretty decent. Rating: 3.5 / 5. 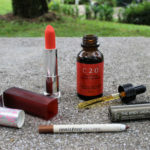 I seldom do a long review for a beauty product. Guess this happens when the product confuses me. :) Thanks for reading. Have you come across a great BB cream? Want to share it with us so that we learn from each other? Before you go, don’t forget to click the button below to subscribe to honest beauty and travel reviews. See ya!